This ongoing topic which concerns everyone of us is still on my mind. Yes! It concerns YOU, ME and anyone of your friends and family. 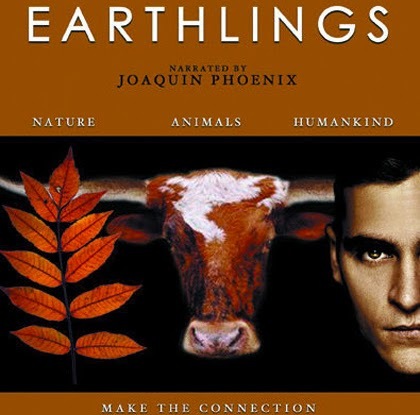 A friend of mine recommended me this documentary called Earthlings which shows in full length how dependent we actually ARE on animals. Be it pets, food, clothing, entertainment or scientific research, this movie really goes deep and let us rethink our consumption and being on earth. With hidden cameras the producers go into large factories, they illustrate how people 'treat' animals for mass production, entertainment and scientific purposes. While the movie was on, I sometimes had to look away since the pictures are really horrible! But honestly do not hesitate to watch it, in my opinion everyone who is on this planet should know what is actually going on behind closed and unknown doors. There are many food and meat documentaries, but this one is highly worth-watching! It lays out different aspects and sums it all up in one and a half hours. After that I rethink if I really need meat for dinner tonight, as well as leather products and fur materials on clothing. Think about it and make the connection! Mindful Monday: Winter Blues x Move!